Minsky was an atheist, a signatory to the Scientists' Open Letter on Cryonics. He was a critic of the Loebner Prize for conversational robots, and argued that a fundamental difference between humans and machines was that while humans are machines, they are machines in which intelligence emerges from the interplay of the many unintelligent but semi-autonomous agents that comprise the brain. He argued that "somewhere down the line, some computers will become more intelligent than most people," but that it was very hard to predict how fast progress would be. He cautioned that an artificial superintelligence designed to solve an innocuous mathematical problem might decide to assume control of Earth's resources to build supercomputers to help achieve its goal, but believed that such negative scenarios are "hard to take seriously" because he felt confident that AI would go through a lot of testing before being deployed. ^ a b Minsky, M. (1961). "Steps toward Artificial Intelligence" (PDF). Proceedings of the IRE. 49: 8–30. CiteSeerX 10.1.1.79.7413. doi:10.1109/JRPROC.1961.287775. ^ a b Minsky, M. (1988). "Memoir on inventing the confocal scanning microscope". Scanning. 10 (4): 128–138. 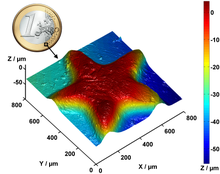 doi:10.1002/sca.4950100403. ^ Pesta, A (March 12, 2014). "Looking for Something Useful to Do With Your Time? Don't Try This". WSJ. Retrieved March 24, 2014. ^ Hillis, Danny; McCarthy, John; Mitchell, Tom M.; Mueller, Erik T.; Riecken, Doug; Sloman, Aaron; Winston, Patrick Henry (2007). "In Honor of Marvin Minsky's Contributions on his 80th Birthday". AI Magazine. 28 (4): 109. doi:10.1609/aimag.v28i4.2064. ^ Papert, Seymour; Minsky, Marvin Lee (1988). Perceptrons: an introduction to computational geometry. Cambridge, Massachusetts: MIT Press. ISBN 978-0-262-63111-2. ^ Minsky, Marvin Lee (1986). The society of mind. New York: Simon and Schuster. ISBN 978-0-671-60740-1. The first comprehensive description of the Society of Mind theory of intellectual structure and development. See also The Society of Mind (CD-ROM version), Voyager, 1996. ^ Minsky, Marvin Lee (2007). The Emotion Machine: Commonsense Thinking, Artificial Intelligence, and the Future of the Human Mind. New York: Simon & Schuster. ISBN 978-0-7432-7664-1. ^ "Elected AAAI Fellows". www.aaai.org. ^ Marvin Lee Minsky at the AI Genealogy Project. ^ "Personal page for Marvin Minsky". web.media.mit.edu. Retrieved June 23, 2016. ^ a b Winston, Patrick Henry (2016). "Marvin L. Minsky (1927-2016)". Nature. 530 (7590): 282. Bibcode:2016Natur.530..282W. doi:10.1038/530282a. PMID 26887486. ^ Minsky, Marvin Lee (1954). Theory of Neural-Analog Reinforcement Systems and Its Application to the Brain Model Problem (PhD thesis). Princeton University. OCLC 3020680. ^ Hillis, Danny; John McCarthy; Tom M. Mitchell; Erik T. Mueller; Doug Riecken; Aaron Sloman; Patrick Henry Winston (2007). "In Honor of Marvin Minsky's Contributions on his 80th Birthday". AI Magazine. 28 (4): 103–110. Retrieved November 24, 2010. ^ Horgan, John (November 1993). "Profile: Marvin L. Minsky: The Mastermind of Artificial Intelligence". Scientific American. 269 (5): 14–15. Bibcode:1993SciAm.269e..35H. doi:10.1038/scientificamerican1193-35. ^ Rifkin, Glenn (January 28, 2016). "Marvin Minsky, pioneer in artificial intelligence, dies at 88". The Tech. MIT. Retrieved July 20, 2017. ^ a b c "Brief Academic Biography of Marvin Minsky". Web.media.mit.edu. Retrieved January 26, 2016. ^ The patent for Minsky's Microscopy Apparatus was applied for in 1957, and subsequently granted US Patent Number 3,013,467 in 1961. According to his published biography on the MIT Media Lab webpage, "In 1956, when a Junior Fellow at Harvard, Minsky invented and built the first Confocal Scanning Microscope, an optical instrument with unprecedented resolution and image quality". ^ Wolfram, Stephen (2016). Idea Makers: Personal Perspectives on the Lives & Ideas of Some Notable People. Wolfram Media, Inc. p. 140. ISBN 978-1-5795-5-003-5. ^ Olazaran, Mikel (August 1996). "A Sociological Study of the Official History of the Perceptrons Controversy". Social Studies of Science. 26 (3): 611–659. Bibcode:1989SoStS..19..127L. doi:10.1177/030631296026003005. JSTOR 285702. ^ Unknown (1975). "Minsky's frame system theory". Proceedings of the 1975 workshop on Theoretical issues in natural language processing – TINLAP '75. pp. 104–116. doi:10.3115/980190.980222. ^ Minsky, Marvin (April 1985). "Communication with Alien Intelligence". BYTE. p. 127. Retrieved October 27, 2013. ^ "AI pioneer Marvin Minsky dies aged 88". BBC News. January 26, 2016. Retrieved January 28, 2016. ^ "R.I.P. Marvin Minsky". Washington Post. January 26, 2016. Retrieved January 28, 2016. 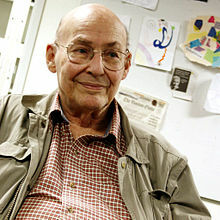 ^ "Obituary: Marvin Minsky, 88; MIT professor helped found field of artificial intelligence". Boston Globe. January 26, 2016. Retrieved January 28, 2016. ^ a b "Marvin Minsky, Pioneer in Artificial Intelligence, Dies at 88". The New York Times. January 25, 2016. Retrieved January 25, 2016. ^ "For artificial intelligence pioneer Marvin Minsky, computers have soul". Jerusalem Post. May 13, 2014. Retrieved January 27, 2016. ^ Russell, Stuart J.; Norvig, Peter (2003). "Section 26.3: The Ethics and Risks of Developing Artificial Intelligence". Artificial Intelligence: A Modern Approach. Upper Saddle River, N.J.: Prentice Hall. ISBN 978-0137903955. Similarly, Marvin Minsky once suggested that an AI program designed to solve the Riemann Hypothesis might end up taking over all the resources of Earth to build more powerful supercomputers to help achieve its goal. ^ Achenbach, Joel (January 6, 2016). "Marvin Minsky, an architect of artificial intelligence, dies at 88". Washington Post. Retrieved January 27, 2016. ^ Pearson, Michael (January 26, 2016). "Pioneering computer scientist Marvin Minsky dies at 88". CNN. pp. 12–27. Retrieved April 7, 2016. ^ Kurzweil, Ray (April 4, 2016). "Ray Kurzweil Remembers Marvin Minsky". YouTube. Retrieved December 5, 2017. 10:35-11:26: "The night he died I got frantic calls from Alcor: Where's his body? ... and I did hear back that they resolved the issue, although apparently on Wikipedia it says they don't know if it's resolved; do people know? It was resolved ... I predict by 2045 we'll be able to revive Marvin ..."
^ "A-1700, Case Summary, Patient 144". Alcor News. June 12, 2016. Retrieved December 6, 2017. On January 25, 2016, Alcor was notified ... that the member had been pronounced legally dead the previous day in Massachusetts after suffering a cerebral hemorrhage ... After some delays locating the member without information from the family, cooling to dry ice temperature began on January 27 followed by subsequent transport to Alcor and cooling to liquid nitrogen temperature for long-term storage. ^ Marvin Minsky – The Franklin Institute Awards – Laureate Database Archived May 26, 2011, at the Wayback Machine. Franklin Institute. Retrieved on March 25, 2008. ^ "IEEE Computer Society Magazine Honors Artificial Intelligence Leaders". DigitalJournal.com. August 24, 2011. Retrieved September 18, 2011. Press release source: PRWeb (Vocus). ^ "Dan David prize 2014 winners". May 15, 2014. Retrieved May 20, 2014. ^ "MIT artificial intelligence, robotics pioneer feted: Award celebrates Minsky's career". BostonGlobe.com. August 24, 2011. Retrieved January 18, 2014. ^ "Extropy Institute Directors & Advisors". ^ "kynamatrix Research Network : About". www.kynamatrix.org. Retrieved February 9, 2018. This page was last edited on 5 April 2019, at 22:47 (UTC).